So the recession has you stuck in the city for the Summer. There may not be an island getaway in your future, but you can at least trick your olfactory senses into believing you've escaped with these paradise-inspired products. Elemis Exotic Frangipani Monoi Bath & Shower Cream, $35, available at Time To Spa. This moisturizing body wash is infused with Tahitian Monoi Oil and the fragrance of Frangipani flowers. I only needed a dab of this rich cream for a full body soak, and my skin was left soft and perfumed with a spicy floral fragrance. Saffron James LE'A Parfum, $85, available at Saffron James Online. The perfumes of Saffron James were created by a Hawaiian native as homage to the native fragrances of her homeland. The LE'A scent, my favorite of the line, was inspired by the Plumeria flower. The lusciously floral scent contains notes of Hibiscus, Pineapple Leaf and Passionflower. 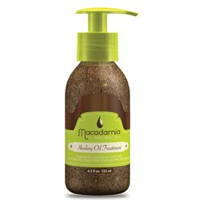 Macadamia Natural Oil Healing Oil Treatment, $36, available at Macadamia Hair. This leave-in hair therapy uses natural Macadamia and Argan oils to infuse strands with moisture and repair damage -- leaving behind silky smooth locks and a subtle, nutty fragrance. 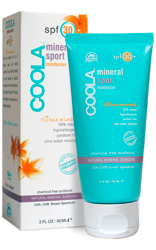 COOLA MineralSport SPF 30+ Moisturizer Citrus Mimosa, $34, available at DermaDoctor. Even in the city you need to protect yourself from the sun. The Zinc and Titanium Dioxide in this chemical-free sunscreen provide irritation-free SPF, the organic oils and shea butter moisturize the skin, while natural essential oils leave you smelling like one of your favorite fruity libations. 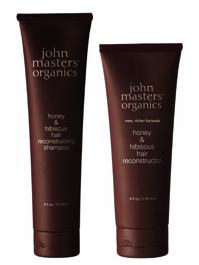 This shampoo and conditioner duo contains a medley of certified organic plant extracts, which are easier on both nature and hair. Hibiscus, Bergamot, and YlangYlang oils leave your hair with the faint scent of a tropical flower garden. It's also gentle on color-treated hair, particularly important if you've been painting on summery highlights to make it look like you've been somewhere other than the office. The sweet scent of coconut mingles with the tang of lime to create a fruity fragrance that's delicious without being childish. The non-greasy formula makes this moisturizer perfect for Summer months.